Detox Dandy is an integrated health business with a holistic approach to daily needs. Our name stems from the commonly known and highly detoxifying herb: the dandelion. 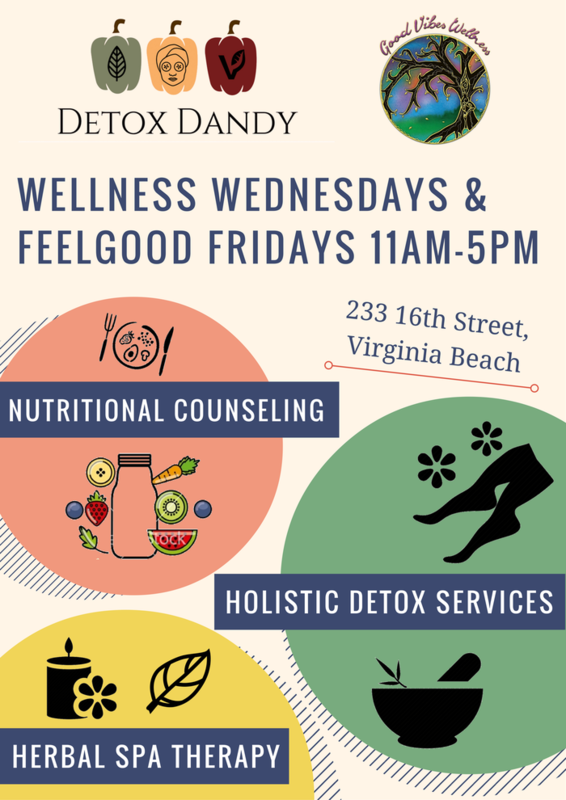 We are located at Good Vibes Wellness – 233 16th St, Virginia Beach Oceanfront. We seek to recharge and rejuvenate the mind, body, environment and relationships through our naturopathic line and aromatherapy. 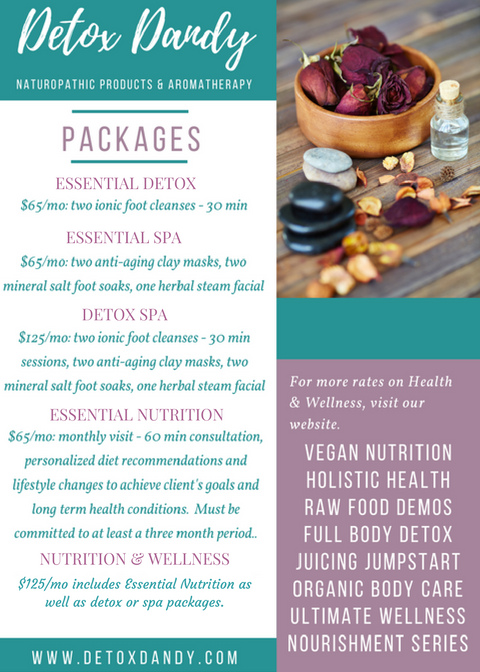 Our services include nutrition and dietary programs, herbal spa therapy as well as detox treatments for overall health and weight loss. Our large selection of holistic body care products are vegan, allergy safe and locally made. They are produced using 100% organic essential oils, are suited for all skin types and do not contain colorants, chemicals or fragrances.